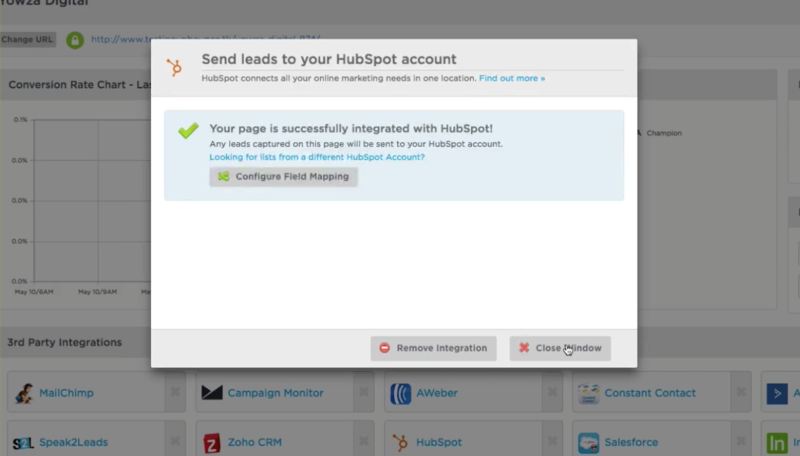 Integrating Unbounce with HubSpot gives you a dynamic funnel for capturing and nurturing leads. 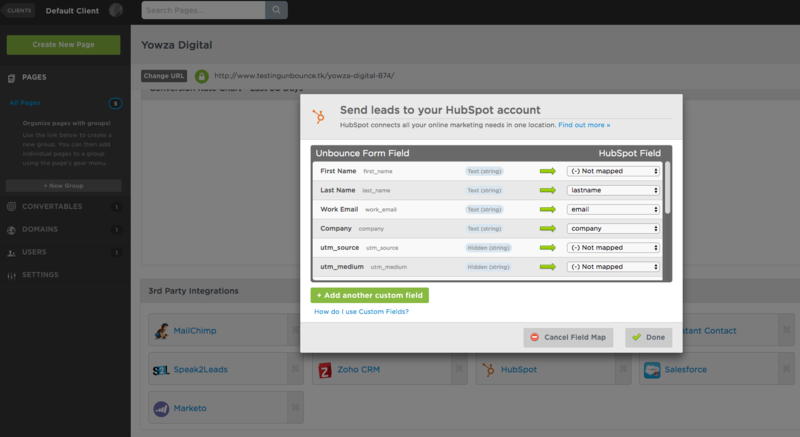 Combining these tools allows you to instantly send leads collected from your Unbounce forms to any HubSpot campaign. Leads will also be stored in exportable CSV within your Unbounce account. This integration requires both Unbounce and HubSpot. Learn more. This integration gives you the best of both worlds: high-converting Unbounce landing pages and overlays for capturing leads, and the ability to seamlessly manage your leads with HubSpot.